At Dance Works Academy, ballet is the foundation of all dance training. 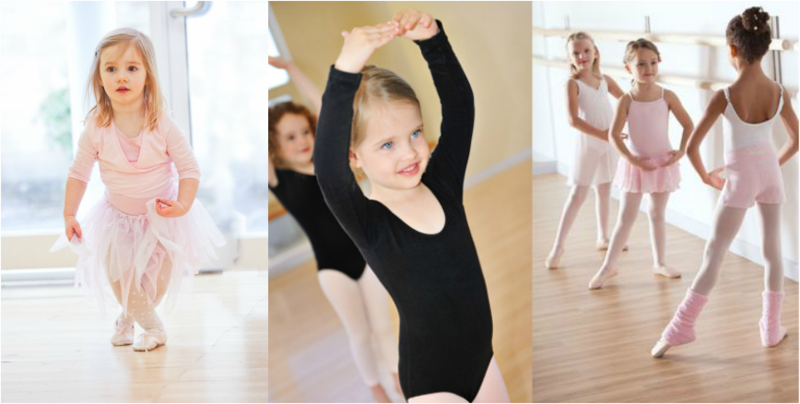 We encourage all students who are serious about dance to take part in at least 1 ballet class per week. The discipline, technique and strength acquired in Ballet are utilized in all other forms of dance and help to improve the over all dance ability. At Dance Works three syllabi are taught. The I.S.T.D. (Imperial Society Teachers of Dance) and the R.A.D. (Royal Academy of Dance) and the Vaganova method. Full examination and assessments in both RA & ISTD are offered at Dance Works and highly encouraged. For those pursuing professional careers, performing or teaching examinations are necessary. Our classes in Ballet are offered from the pre-school age upto adult, novice to pre professional and also vocational studies. In the Pre Primary & Primary programs a love of dance is fostered for beginner dancers with a strong emphasis on musicality, motor skill development, balance, self expression and creativity. Pre Primary - (ages 2-5) Introduction to dance and ballet technique through imaginative play, musicality and creative movement. Major and minor motor skills, strength, flexibility, self-expression and coordination development. Primary and Graded - (ages 5 - 12) Progressive dance syllabus for the development of classical ballet and national dance technique. Major and minor motors skills, strength, flexibility, self-expression and coordination development. Inspiring and educational classes in a nurturing environment. Primary to Grade 8 RAD. Pre teen, Teen and Adult - (ages 10+) Progressive dance syllabus for the development of classical ballet technique suited to each students individual needs. Strong emphasis on core strength, flexibility and overall technique. Primary and Graded - (ages 6 - 14+) Progressive dance syllabus for the development of classical ballet and national dance technique from primary and up to Grade 8 RAD ballet. Students require a deeper level of commitment that is ever increasing as they develop in through the grades and years. The syllabus builds technical foundation Vocational Ballet studies. Exams are not required but are available. Vocational ballet studies are the framework for pre professional dancers who wish to advance their ballet technique to the highest level> A strong emphasis on classical ballet technique, strength, flexibility, musicality, self discipline, mature creative expression and technical execution. Those who complete their Intermediate exams or higher, qualify to advance in their studies and attain teaching qualifications. 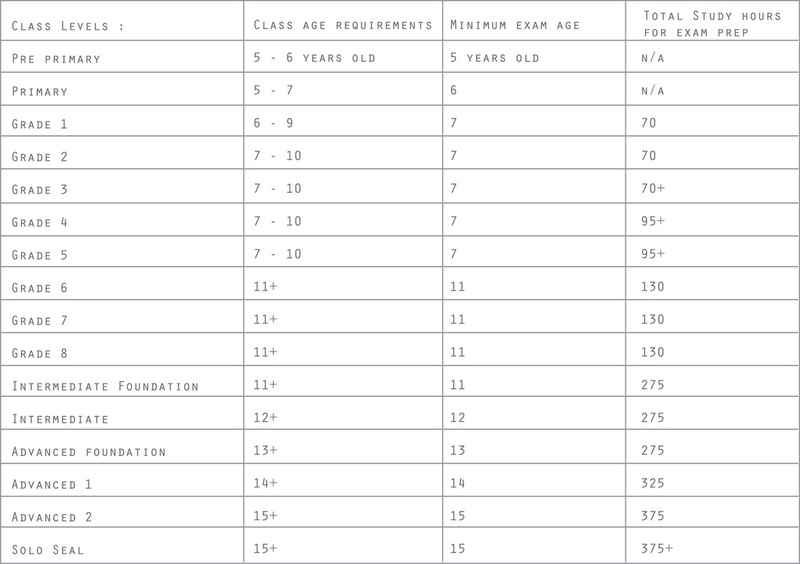 Major ballet syllabus that includes : Intermediate Foundation ballet, Intermediate ballet, Advanced Foundation, Foundation 1 and 2 and solo seal. Those who wish to take exams at this level will need to be assessed and accepted into the Ballet Excel Program 3 or 4. Those not wanting to do exams can still take the Ballet Excel classes for technical development. NB All students accepted into this program may take as many ballets classes as they choose in the next grade level for technical development at no extra cost. Vocational ballet includes pre pointe and pointe work. Not all who participate in vocational ballet may be ready or suited to pointe work. Each student will be assessed before being accepted into this program. It typically takes a minimum of 2 - 3 years of serious ballet study (3 - 4+ hours per week) in the upper grades to prepare physically for pointe work. The teacher will assess the student to make sure there are no physical limitations that would adversely effect their ability to perform pointe work. She will also assess the students foot strength and range of motion, make sure their is sufficient maturity in the bones in the feet, the students physical and emotional maturity, physical strength and how many years training and the level they are dancing at. NOTE : Continued acceptance into this program requires a minimum of 3 classes per week in order to maintain the appropriate strength training and achieve the technique required for point work. Parents are encouraged to contact us to discuss your child's options and to create a personalised ballet training program that suits their needs. We offer classes for the complete beginner up to advanced adult dancers. We offer recreational and advanced classes. Adult Recreational Ballet : this program offers the basics of ballet technique as well as core and strength training, posture and alignment and flexibility training. Following a combination of the leading syllabi the recreational ballet classes are structured to meet the specific needs and levels of each student. Advanced Adult Ballet : this program offers more intense technical training with both Intermediate and Advanced 1 ballet syllabus. Students who complete their Intermediate exam can qualify to obtain their teaching qualification. On our schedule these classes are called Intermediate Ballet 2 and new adults may join these classes to the best of their ability in order to better their ballet technique and to advance their own training. This has evolved as an American dance form, popularised throughout the world, with debate about its origins coming from African dance, Irish dance and/or clog dancing. The dancer uses their feet to strike the floor, beating out different rhythms, with dancers wearing tap shoes which have small metal plates on the toe and heel to give the distinctive sound. Tap dance is a theatrical art form often seen on stage in musicals.The Tap program at Dance Works is a relaxed style with feet sounding out exciting rhythms. Young and old love the “sound” of tap dancing to all forms of modern music. Tap is a wonderful way to improve on timing and rhythm. And for the serious dancer Tap is essential to having a well-rounded background in dance. At Dance Works we offer training in Street Free Style Tap as well as training in the I.S.T.D. & C.D.T.A. For information on exams and competition opportunities at Dance Works please refer to our Competitions and Exams section. Tap classes at Dance Works are offered to student ages primary to adult. Lyrical dance style has its primary basis in ballet, combining the many technical elements of classical ballet with the freedom and airier aspects of jazz, contemporary and modern dance. Lyrical dance is expressive, simultaneously subtle and dynamic, focused on conveying musicality and emotion through movement. It is a combination of intricate, highly technical, and pedestrian/naturalistic moves. It is commonly set to popular music with vocals as well as rich instrumental portions of a pop song. Lyrical inspires choreographers and dancers to use movement to interpret music and express emotion. More than other aforementioned dance styles, a lyrical performance aligns with the essence of a musical piece, in addition to highlighting the beauty, openness and strength of the dancer. There are 4 forms of Modern taught at Dance Works Academy. ISTD Modern Theatre dance is a rhythmic dance style which originated in America before travelling to the rest of the world. It is often seen on the stages of musical productions and is known for its theatrical qualities. The style uses travelling steps, high kicks, leaps and turns which all need strength and flexibility. This is a highly energetic dance style. Graham Technique is a modern dance movement style and pedagogy created by American dancer and choreographer Martha Graham (1894–1991). Graham technique has been called the "cornerstone" of American modern dance, and is taught worldwide. Cunningham Technique - For more than 50 years, Merce Cunningham has been a driving force in modern dance. Working with the idea that dance and music should be able to exist independently of each other while sharing the same time and spaceA strong sense of one’s spine is an integral part of Cunningham technique, which explores the way that the back works either in opposition to the legs or in unison with them. Space is also an important factor, as is a sense of direction. In his choreography and class exercises, Cunningham developed a way of referencing “front” so that dancers don’t think about movement in terms of moving toward a point in space (most often, facing the audience), but rather in terms of where each individual body is facing. Horton Technique - In the 1920s, ’30s and ’40s, dancer/choreographer Lester Horton developed a dance technique based on Native American dances, anatomical studies and other movement influences. In addition to creating his technique and choreographing a number of works, Horton established the Lester Horton Dance Theater, one of the first permanent theaters dedicated to modern dance in the U.S., in Los Angeles in 1946. As taught at The Ailey School, codified Horton technique incorporates 17 “fortification studies” (among other elements) that each focus on a different idea, such as descent/ascent and laterals, or body parts such as the Achilles tendons or abdominals. Class then progresses across the floor with movement phrases, turns and single-foot arch springs (jumps from one foot). Contemporary is a dance style that is originally based on Greek Natural movement. Again, as in Jazz, there are several styles that have been developed. And like Jazz, Contemporary has been incorporated into a Classical style so that “Dance” has become homogenized in current choreography. Contemporary style is incorporated into the R.A.D. Ballet syllabus and is valuable in teaching students the “Rise & Fall” in movement. Dance Works Academy incorporated Contemporary into their program along side of classical work. The “Pure” style Contemporary classes at Dance Works are offered to pre teens, teens and adults. Highland is a fun form of dance, which originated in the Scottish Highlands. Unlike other forms of dance in Highland you dance with the heels off the floor. This builds great overall leg strength and great discipline! At Dance Works, students in the Highland classes are taught the S.D.T.A. (Scottish Dance Teachers Association) syllabus set to the enchanting sound of Celtic music. Over the past years highland has been an important part of our Dance Program and has been enjoyed by many of all ages. For information on exams and competition opportunities please refer to our Competitions and Exams section. Classes in Highland are offered to student aged Pre-Primary to Adult. Jazz is a rhythmical dance form set to Jazz music of various styles. This genre of dance is popular with all age groups Jazz is always evolving with various stylistic influences from North Americas East Coast and west Coast. Jazz dance is an important of a dancer’s training. Dance Works Academy offers set work in the I.S.T.D. syllabus in its Jazz program as well as Street Jazz techniques. Freestyle choreography for competitions and performances. Refer to our Competitions and Exams section for more information. Jazz classes at Dance Works are offered for ages Primary to Advanced. Bring your runners for the first 30 minutes of Cardio Cabaret inspired sassy warm up> Bring your dancing heels (jazz shoes or thick heeled boot or shoe) for some strutting fun! 30 minutes of Cross floor Combos and Choreography. Get ready to have some Fitness with Style: on heels! Strutting and choreography are also runner friendly, just in case. Believed to have originated in New York (Brooklyn Uprock or b-boying/b-girling) in the 1970’s and heavily influenced by the West Coast “Funk Movement’ Hip Hop has evolved into a cultural phenomenon. Hip Hop involves many techniques from other genres of dance and benefits from acrobatic ability. At Dance Works we offer Hip Hop classes with exciting choreography for competition and performance set to popular yet positive Hip Hop music. Although there is not a set syllabus for Hip Hop, serious Hip Hop students are encouraged to take Ballet and other forms of dance to sharpen their technique and over all ability. Our Hip Hop teachers have a background with the appropriate examinations in many forms of dance. For information of the competitive opportunities in our Hip Hop program at Dance Works please refer to the Competitions and Exams section. Classes in Hip Hop are offered at D.W. for the ages of 4 to adult. Social dancing is very popular today. Making a huge comeback through out the world. Rhythms originating in Africa and Latin America appeal to almost everyone. At Dance Works we offer novice to experienced classes in this genre of dance. This is a suitable program for any level of experience and a great stepping-stone for the beginner dancer. Classes offer an exciting introduction to the basic of this dance method as well as more advanced training for the experienced dancer. You can join with a partner or join solo. At Dance Works classes are offered in Mambo for the ages of Pre Teen - Teen. Salsa Courses are offered to adults. The Musical Theatre program at Dance Works is a wonderful way to explore one of the many forms of the Performing Arts. Students enrolled in this program are taught the fundamentals of singing and voice training in a theatre setting. For those interested in a theatrical career or for those who simply enjoy performing, the Musical Theatre program is a great choice. We highly recommend Musical Theatre training to create a well-rounded performer. This course works along side our Acting program. Classes in Musical Theatre at Dance Works are offered to the ages of 6 years to adult. Acting is a big part of the Performing Arts. From Dancing to Musical Theatre acting skills are essential for a well-rounded performance. The acting program at Dance Works gives students the skills necessary to pursue an acting career. Audition preparation is also a big part of pre professional training; it gives students the necessary tools to enter the acting world. Acting and drama are an excellent form of self-expression and a great way to improve confidence and public speaking skills. Sr. Acting classes are available for the beginner actor or the experienced alike and are offered to 13 years to adult. Jr. & Pre Teen Acting classes are now offered for students ages 7-12 years. Acrobatic Dance, or acro as it is commonly referred to by dancers and dance professionals, is the beautiful fusion of classic dance technique and the precision and athleticism of acrobatic elements. Often defined by unique choreography, acro dancers seamlessly blend musicality, emotional expression, lines and extension with acrobatic movements in a dance context. Acro’s roots are in traditional Chinese dance, later appearing as a favoured style on the Vaudevillestage. More recently, acro gained popularity with the wide spread success of the contemporary circus productions of Cirque du Soleil. Main stream media including dance television programs like ‘So You Think You Can Dance’, ‘America’s Best Dance Crew’ and ‘Dance Moms’ have further fuelled it’s demand in amateur competitive dance and studio settings. Acro is an especially challenging style for dancers to master as training in both dance and acrobatic elements is required. Acro technique includes balancing, limbering, tumbling and partnering, based in flexibility, contortion and strength. Dance Works offers the Acrobatic Arts syllabus for both recreational dancers and exam/competitive dancers. East Indian dance has become a popular and recognized dance form in the Western World. The I.S.T.D. (Imperial Society Teachers of Dance) now offers examinations in Indian dance methods. Bollywood is influenced by traditional Indian dance but has a more of an emphasis on theatrical expression. As a theatrical form of East Indian dancing, Bollywood can be seen in many Indo Canadian films as well as in the Indian Culture. Ballroom has been a popular style of dance for many years. From the Cha Cha to the Walt's ballrooms many faces are all equally beautiful and challenging. Dance Works is now introducing this much loved form of dance to it's program for Pre Teens to Adults. Instructor Penny Hudson studied Ballroom while taking her teacher training in England during the 70's. Penny also studies the I.S.T.D. method of Ballroom with well known instructor, Willie Horton. Ballroom courses are for beginner Ballroom dancers. Experienced ballroom dancers can contact the DW office for more info. Yoga is a great was to keep the body strong and supple and the mind focused. It builds body awareness especially in dancers and helps prevent injuries. We all live such busy lives and yoga helps us to cultivate calm and balance. Pilates is a method of exercise that consists of low-impact flexibility and muscular strength and endurance movements. Pilates emphasizes use of the abdominals, lower back, hips and thighs. It is named for its creator, Joseph Pilates, who developed the exercises in the early 1900s.